Born within nine days of each other in 1967, it only took 46 years for Juliana Hatfield (Blake Babies, Juliana Hatfield Three) and Matthew Caws (Nada Surf) to find each other as Minor Alps, releasing their debut album Get There this week on Barsuk Records. Each first made their musical way in the post-Nirvana ’90s grunge/alternative rock scene; they’ve mellowed in their middle years. Get There is a professional, approachable indie-rock album about common, everyday struggles. Their debut is an easy-to-listen-to collection of songs written about everyday situations and emotions. Each song is a feeling, with less pop structure and more focus on capturing the feeling of the subject. Most songs feature sparsely written lyrics that convey just enough information to let the listener in on the situation, which actually works really well. Beginning with “Buried Plans,” which complains about self-inflicted loneliness, this album is all about carefully crafted expression. Continuing with perhaps the best track of the bunch, “I Don’t Know What to Do with my Hands” describes that awkward experience when you are in the beginning of a relationship and so self-conscious, focusing on trivial things. It features a nicely distorted guitar opening lick and touches of the duo’s ’90s past, but with very mellow approachable vocals. “Maxon,” is a nice departure, with finger-picked guitar, mellotronish keys and Caws sounding as mellow as Dan Wilson/Semisonic. And “Radio Static” is an example of the layered vocal sound they employ in a few sections of the work, adding nicely to the melodic movements of the chord structure. Finally, “Mixed Feelings” is the exception that proves the rule, a mid-’90s rocker with excellent, powerful lead guitar and drums. The dominant mountain range of Western Europe features some of the tallest mountains in the world. But the Alps also, I am told, contain thousands of smaller mountains, hills and valleys– each with its own particular beauty. 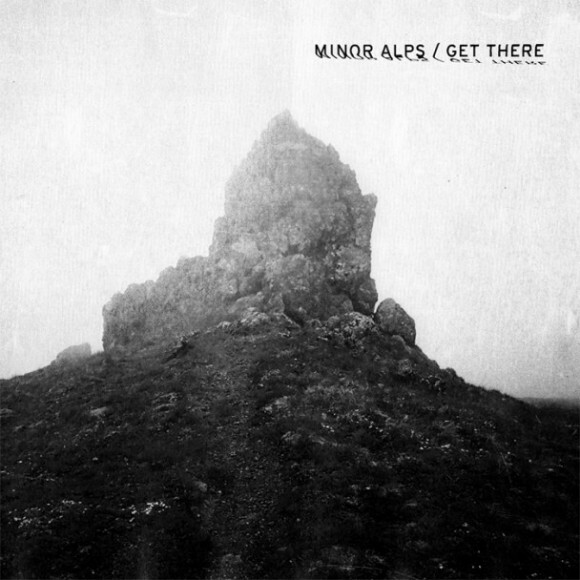 The Minor Alps have arrived, and Get There is a worthy story of their journey.